Situated in the Spa Tower on the south side of the JW Marriott Las Vegas Resort, Hawthorn Grill features a rich bar area, perfect for an after-work or pre-dinner drink; a large, yet cozy dining room easily accommodating a large family dinner or a romantic date; and an expansive outdoor patio with a vibrant waterfall surrounded by lush foliage. 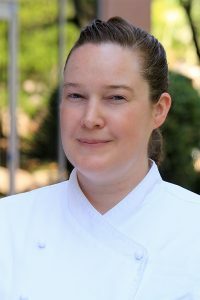 After four years away from the popular Summerlin resort, Megan Shaver returns to JW Marriott Las Vegas Resort & Spa, officially controlling the kitchen at Hawthorn Grill. As Executive Chef, Shaver combines her culinary expertise with her knowledge of the resort and its clientele to make crave-worthy menu items for all dining guests. Growing up a quiet child in upstate New York and being influenced by her neighbor, the popular TV Chef Mr. Food; Shaver began cooking at 11 years old and honed her interest in all things culinary obtaining a B.S. in Nutrition from Russell Sage College, then moving to receiving a degree from the Culinary Institute of America. She was afforded the opportunity to study abroad at the University of Puerto Rico learning about food, nutrition and culture, and also had the opportunity to work on two James Beard Award dinners with FIG Restaurant and Five Fifty-Five. She has a long history with Marriott and returns to the resort after being at the JW Marriott Las Vegas from 2007-2014. After initially leaving in 2014, she spent time in Colorado (Art Hotel and Inverness Hotel & Conference Center), then traveled to the Virgin Islands where she was at Marriott’s Frenchman’s Reef from 2016-2017, and then 9 months at the Atlanta Marriott Marquis. In her early career, Shaver spent some time cooking on the East Coast and four years at the Four Seasons Resort at Manele Bay in Hawaii. She is also an avid traveler and loves the opportunity being a chef gives her to experience new places and cuisines. Chef Olivier Carlos grew up in Paris and at the age of 16 went to work in a kitchen as an apprentice cook. Despite the long hours, he quickly grew comfortable in the quiet and creative environment. After gaining his C.A.P in classical cooking in June of 1987, he began formal study of the pastry arts. From 1989 to 1991, he was an apprentice at Fauchon and explored different techniques in pastry arts. He then earned his C.A.P in pastry, the “Brevet de Maitrise Technologique” (master’s degree in pastry), and the “Artistic de Patisserie” (diploma in the art of pastry-making). He began working in a number of France’s most distinctive patisseries. In addition, he worked with Philippe Segond (MOF) for many years as Assistant Pastry Chef in Aix en province. In 1992, Chef Olivier earned 3rd place in the Coupe de France competition in France. 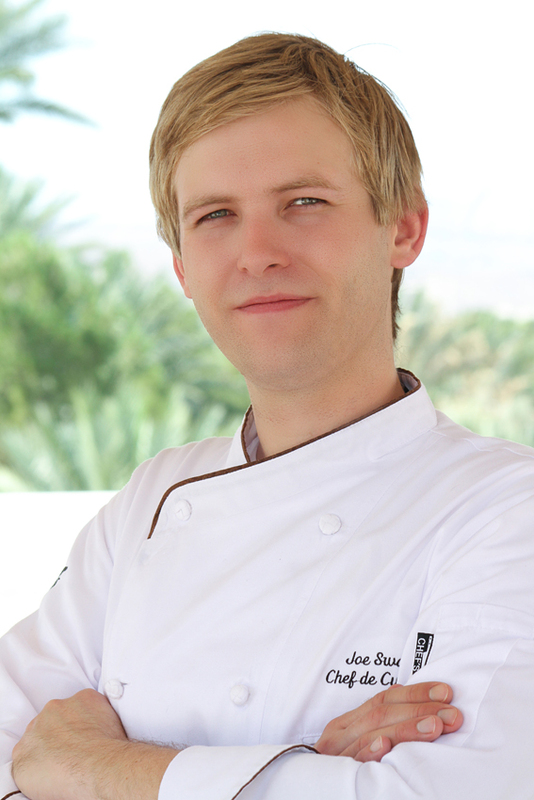 Prior to becoming Executive Pastry Chef for Hawthorn Grill, Chef Olivier served as Executive Pastry Chef for Flamingo Las Vegas and as a Pastry Chef at Paris Las Vegas with Jean Claude Canestrier (MOF), “The World’s Best Pastry Chef”. He has also worked internationally in Anguilla, Japan, and Saudi Arabia. 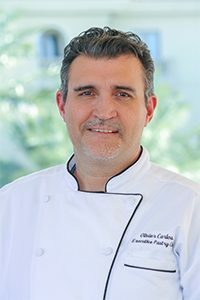 Aside from fulfilling his current duties at Hawthorn Grill, Chef Olivier is also teaching at the College of Southern Nevada’s Culinary Program. He does more than instruct his students in baking and creating exquisite sugar arts; he inspires them to such a great degree that the progression of their work is like that of a professional. Chef Olivier finds it very gratifying to create and design elaborate, unique desserts that bring smiles to the faces of his guests.